great for any costume party or when your inner viking needs out. 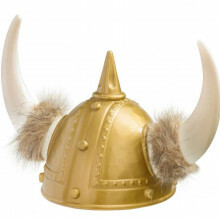 fun little add-on to your viking costume or on its own. place helmet on head. wear helmet. careful of the horns.